Individuals wishing to secure their properties may use various lock types to enhance security. Elite Local Locksmith Wigan provides affordable locksmith services to individuals in Wigan if you are moving to a new house, or you house has been burgled. We have the ability to enhance your security. This is done by changing your locks and fitting new locks in your property. It is prudent for the individual to seek the services of a reliable company when fitting his or her locks. Elite Local Locksmith Wigan guarantees you professional services. Secondly, the individual should bear in mind the price charged by the locksmith services company. Elite Local Locksmith Wigan offers competitive rates for lock replacement services. 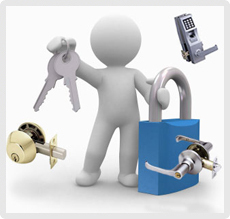 Our team of experts will also undertake lock upgrade services. If you want to boost your security, a lock upgrade may be an attractive option to you. We at Elite Local Locksmith Wigan are bound to carry out a lock upgrade irrespective of the type of lock that your property has. We offer a wide range of locks. One of the most common type of lock installed by our experts is the mortise lock. This lock is popular with many individual due to the fact that it is cheap. Secondly, this lock is effective. A mortise lock operates with the use of levers. Many mortise locks have five or seven levers. This makes it hard for a burglar to get pick it. Thirdly mortise locks can also be complemented by other types of locks. Another lock fitting service provided by Elite Local Locksmith Wigan is installation of the sash jammer in doors and windows. The sash jammer is instrumental in preventing the forceful opening of doors and windows. There are various types of sash jammers installed by our experts. The sash jammer can also be used for safety purposes due to the fact that it prevents the outward opening of windows and doors. Individuals seeking lock fitting services for their vehicles in Wigan may seek the services of our experts. We offer lock fitting services to various types of cars. There are a number of reasons why our lock Fitting service are popular with many Wigan residents. Our lock fitting services are comparable to none due to the level of professionalism involved. We value our clients consequently, we seek to go out of our way to ensure that the client’s needs are satisfied. Another reason why many individuals turn to Elite Local Locksmith Wigan is the fact that we provide fast services. Quick response time is a hallmark of our services .We acknowledge that your security is at risk hence we address the situation quickly. Elite Local Locksmith Wigan has a long history of lock fitting services. Contact us for the best services in Wigan. All Rights Reserved ©2011 Wigan Locksmith. Designed by Vertex Index Ltd.